PPT visuals for Jesus: My Savior and Friend and missionary lesson Hudson Taylor, verse visuals ESV and KJV, Word-UPs, map. This is a PowerPoint version to Download. 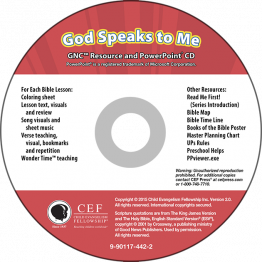 PowerPoint visuals to teach six lessons for the God Speaks to Me series. 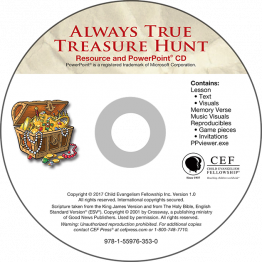 Also includes GNC resources: verse visuals, teaching cards, resource booklet, books of the Bible poster, time-line, time-line pictures. Everything in digital format that is the printed GNC Resource Pack. PPT visuals and PDF files for the One Way and I Dare (Amy Carmichael) series. 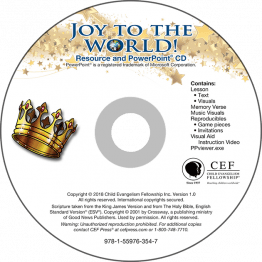 Includes visuals, texts, song visuals, sheet music, verse visuals (ESV & KJV), tokens, coloring sheets, Bible map, club organization tools, preschool lessons and components, and Spanish helps. 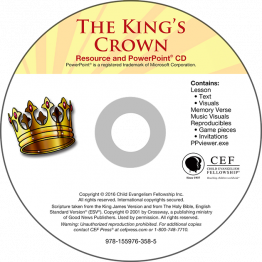 PPT visuals for Turned Around, Ringu of India's Forest, verse visuals ESV and KJV, teaching cards, songs: Children of God, Just Turn Around, Let Me Listen, Let's Get Started and more. 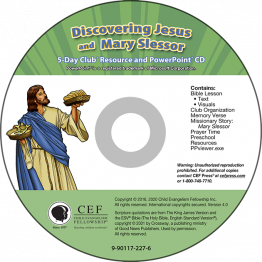 Includes visuals, texts, song visuals and sheet music for His Name Is Jesus and Have Your Heard?, and verse songs and visuals for memory verses Luke 19:10, John 3:16 and John 11:25, (ESV and KJV), tokens, coloring sheets, Bible map, puppet scripts, study questions and other club organization tools, preschool lessons and helps. 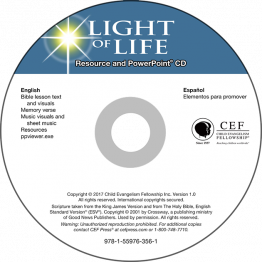 Spanish Bible verse visuals, token sheets and teaching cards are also included. This is a digital product. You have three days to download after order is placed. The Jesus Gives Life and Hope Easter lesson focuses on Jesus as the resurrection and the life. He displayed His power over death when He raised Lazarus and He gives us life and hope through His death and resurrection. 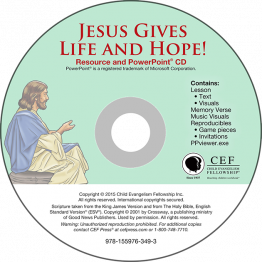 The PowerPoint CD has the same visuals as the printed version as well as helpful tools that go along with the lesson and will help you share the Gospel with children in your area.